The history of the Marzadro distillery looks like a black and white film, the story of an era that now seems remote, but which, in reality, is not. During the post war years Sabina Marzadro, after spending 12 years in service at the home of a deputy in Rome, returned to her home region Trentino, where her brother Attilio, an active farmer, was still waiting for her. However, Sabina returned home with a strong desire to change her life and was carrying a dream in her luggage: to undertake the art of distilling and produce good Grappa using the remains of the grapes that evaporated in the courtyards of the winemaker’s houses. After generations that dream became true and Distilleria Marzadro is now a modern company , capable of holding its own products on the Italian and on international markets without compromising its traditional identity and the care to high quality, which represent the company’s winning card. 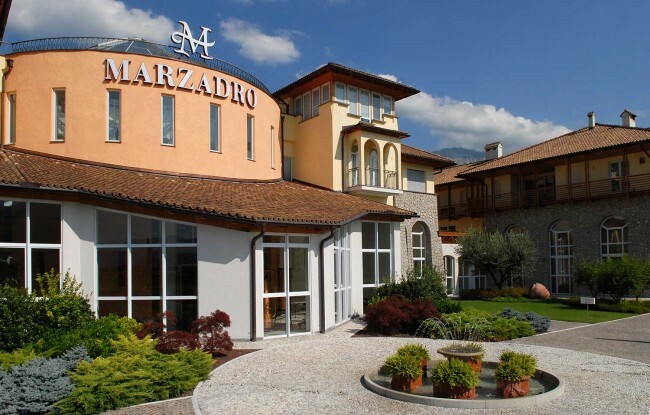 A specific characteristic of the Distilleria Marzadro lies in its wide variety of products, ranging from grappa to liqueur, providing a complete service that goes beyond the simple supply of goods and improves close customer relationships.